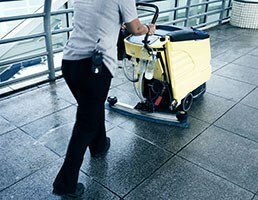 The cleaning industry contributes more than �24 billion to the UK economy, according to the latest figures from the British Cleaning Council (BCC). The report compiled for the BCC by market researcher Firedog Research shows that in addition to being a huge net contributor to the economy, the industry is also one of the UK�s biggest employers, with at least 700,000 people. Latest available figures from 2015 highlight that wage growth in the sector is higher than the national average, with a growth of 6.4 per cent compared with a national average of 2.3 per cent. Encouraging statistics reveal that turnover has increased by 21 per cent since the end of the recession in 2010, greater than all economy growth in which turnover increased by just 17 per cent. There�s also good news for small business start-ups in the sector. The number of new businesses increased by 12 per cent from 4,380 to 4,910 between 2014 and 2015. The average rate of growth in all other sectors for business start-ups was just 9 per cent. During the same period the number of businesses that ceased trading rose from 3,600 to 3,725 between 2014 and 2015: an increase of 3 per cent, but this was much lower than the UK average of 9.4 per cent. Sector expansion is expected to continue, with employment growing across higher-level occupations. The industry is expected to have 467,000 job openings between 2014 and 2024, with 84,000 due to industry growth and 383,000 owing to replacement demand. The survey also shows that the number of foreign-born people working in the industry is larger than the national average � 23 per cent compared with a national average of 17 per cent. Workers across the cleaning industry are more likely to hold lower levels of qualifications than those in other sectors. A third of the workforce do not hold a BIFM level 2 compared with just 13 per cent across the economy. But the latest Working Future Projections shows that there will be a shift towards more people holding higher qualifications. By 2024, 50 per cent of people in the industry are expected to be qualified at level 4 and above, whilst the proportion of people with no formal qualifications is expected to fall to 4 per cent. British Cleaning Council chairman Simon Hollingbery said the research �gives us a good benchmark of where we are, and it will help businesses plan for the future�.